First, I’m writing this post with the assumption that you understand what a webinar is and why businesses use them. If not, you should take a few minutes to read this post and then come back to finish reading here. Second, I assume you’re looking to drive some kind of results with your webinars, whether that be lead generation, sales, free-to-paid conversion, expansion revenue, lower churn, or any of the other popular ways you can drive results with webinars. If you are using webinars just as a communication tool, then chances are this post isn’t relevant to you. Lastly, a significant portion of this post is opinion, based on building and growing Demio over the past few years. These ideas aren’t necessarily one size fits all, so make sure to test it out and find the best approach for your business. 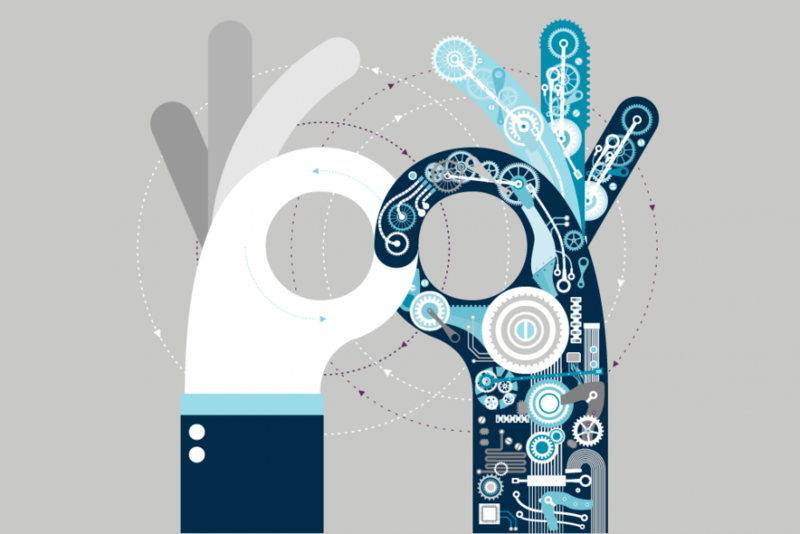 – What’s the Difference Between Live and Automated? – Which One Is Better for Your Business? – Is It Ethical to Run Automated Webinars? – How Can You Create an Automated Webinar? What’s the Difference Between Live and Automated? Starting with the obvious, live webinars are just that: live. Everything you see, from the presentation to the webcams to the chat, is live and happening in real-time. Automated webinars, on the other hand, generally contain at least one automated component, typically the actual presentation itself. However, it’s not unusual to see other automated aspects, such as chat, polls, handouts, CTA’s, and marketing automations. Some companies use automated presentations as a helping hand so they can focus on interacting with the audience in the chat and everything else that goes into a successful webinar campaign. Other companies use automated webinars to put an entire campaign on autopilot to generate results without ever touching it again. We’ll be covering both ends of the spectrum, the different uses, and the benefits of each method. Each side brings with it both positives and negatives. In this section, we’ll cover the good and the bad for automated and live webinars, which will help you decide when to use live and when to use automated. While more work and effort undoubtedly go into a live webinar, it can often pay off. Since it’s actually live, you can make changes to your presentation and adapt on the fly based on the reactions from your audience. You can handle new objections or questions in real-time, and you can make improvements and tweaks afterwards based on your event’s analytics. Live webinars are generally said to convert better than automated ones. While this is most likely not true in every case or for all businesses, there are some common reasons why this is pretty typical. For example, in a live webinar, you can address your attendees by name, acknowledge actual chat messages or questions from them, and do something, whether in your presentation or on webcam, to prove to your audience that it’s happening in real-time. That could be anything from talking about a current event or showing the date/time on your computer. When your attendees know you’re there with them live, they’ll be more likely to stick around and engage with you throughout the presentation. Lastly, in a live webinar, you can offer a live Q&A at the end of your session. This is a great way to interact with your audience, answer specific questions, or kill any final objections about your offer to push your attendees off the fence. These benefits definitely come with a downside. The most common detraction is the amount of energy it takes to present live for 1–2 hours. Running a live webinar daily or a few times per week is a substantial amount of work, and it takes a lot of energy to keep up your enthusiasm for each and every session. Besides the work, energy, and time, there’s also the ability to make mistakes or the chance for things to go wrong. If you run into connection issues, for example, your entire webinar will be affected, along with the results. If you make a mistake or forget important pieces of your presentation, it might not be as effective as it could’ve been. These are some of the risks associated with getting in front of your audience in a completely live environment. If something goes wrong, there’s not a lot of time to fix it. Another not so obvious con is neglecting the chat. It’s easy to get caught up in your presentation and forget to answer attendees’ questions as you go. Many companies bypass this issue by inviting another team member to help moderate the chat so they don’t have to worry about it while delivering the presentation. However, this takes extra resources that some companies don’t have. Certain benefits of live webinars can actually be negatives for automated ones, depending on what stage you’re at in your webinar campaigns. For example, if your presentation is already proven to convert and you have it dialed in, then you might not really value the ability to change it or adapt on the fly. Instead, you may prefer consistency. With an automated webinar, you know the presentation will be exactly the same every single time. This is definitely a benefit if you’re at the stage of scaling your campaign. You won’t make mistakes, and you don’t have to worry about any issues happening live. You can record your best presentation once and then use that for every future session with an automated event. But the main benefit, of course, is the amount of time and energy your automated webinar will save you. Even if you’re sick, having a bad day, or just busy, your auto-webinar will go to work for you and drive consistent results. Even if you plan on showing up to every automated session, to chat with your attendees or just to watch, it’s nice to know your high-converting presentation will run without you having to get in front of the camera or even turn on your microphone. Another benefit is the ability to make certain times available for your registrants that you couldn’t normally offer. 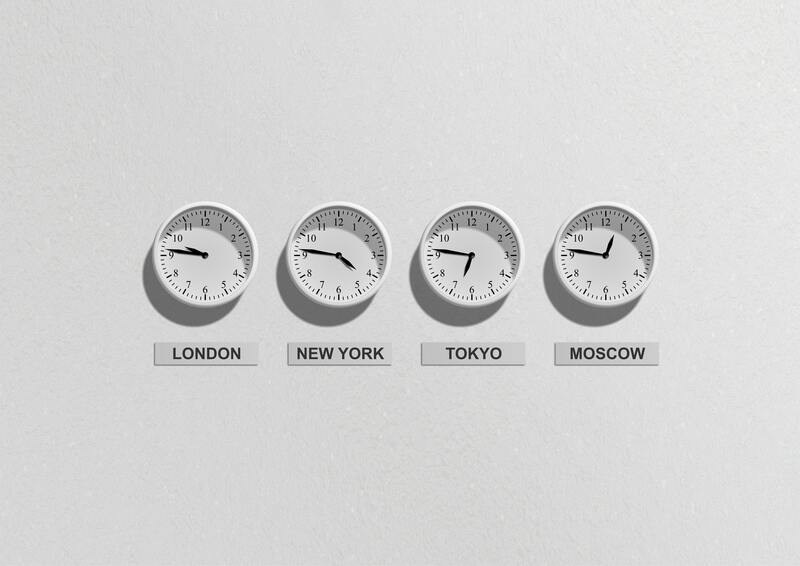 If you’re targeting an international audience, it can be hard to reach time zones that don’t align with yours. With an automated webinar, you can offer times in the middle of the night that are perfect for prospects on the other side of the world. Some platforms, such as Demio, even allow you to offer on-demand times based on when someone lands on the registration page. This can be a powerful way to increase registration and attendance for your event. For example, if you set up an on-demand session at the top of the hour and someone lands on the registration page at 6:37pm, it will say the next session starts at 7:00pm. 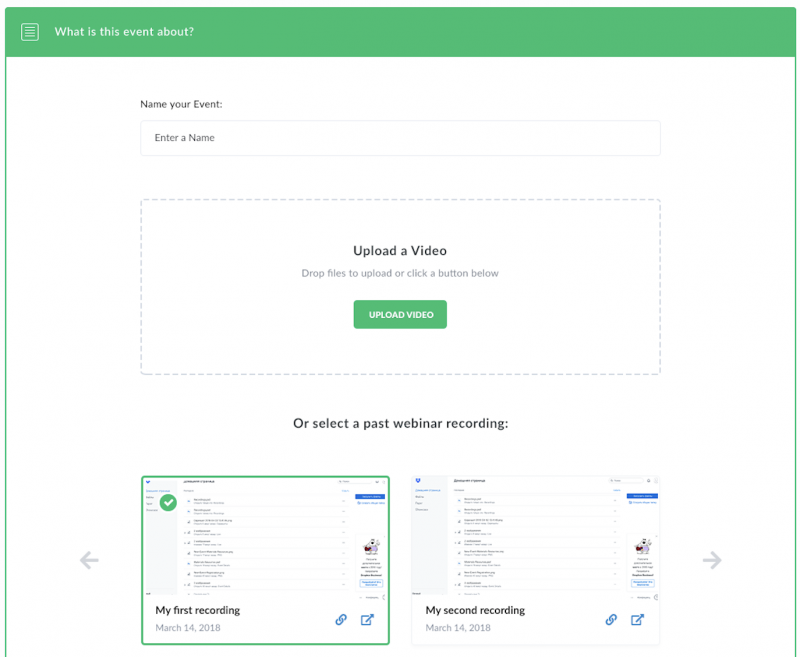 The last major benefit of automated webinars (and my personal favorite), is how easy it makes scaling your webinar campaign. When your webinar is dialed in and you know the numbers, it will never change. Your job becomes driving as much traffic as possible to that event, whether from advertising, partners, affiliates, blog posts, or other sources. As much as they bring to the table, they also come with some negatives. Since it’s pre-recorded, there’s no way to make any changes without re-doing the recording and setting up a new event. At the same time, you won’t be able to read your audience and adjust the presentation or what you say based on their reaction to the content. This isn’t as much of a problem if you already have your presentation and targeted audience dialed in, but it’s definitely a con if you don’t. As stated earlier, live webinars also generally perform slightly better than automated ones. You should test to see for yourself, but even if they do, it might be worth the tradeoff with all the benefits you’re getting in return. There are also ways to combat this and incorporate live behavior in an automated event. For example, with Demio, you can actually join the automated sessions and chat in real-time with your audience. 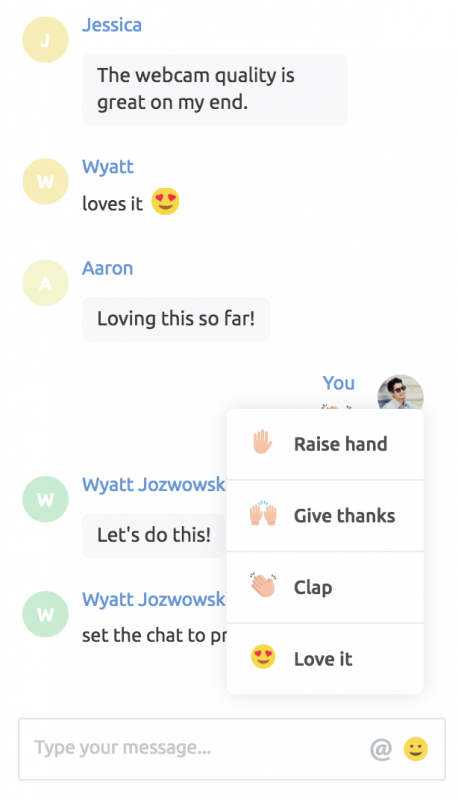 So, even though the presentation itself is automated, you can still have real, engaging conversations with your audience in the chat. The short answer: both are great in their own way. Live isn’t necessarily better than automated, and vice versa. It comes down to your use case, and the stage of your campaign. For example, Mention runs webinars with new partners every time, and the content is constantly changing. In this case, automated webinars don’t make sense. Kissmetrics does the same. In these cases, you might still consider pre-recording the event in order to know exactly what content your audience will see and to take some of the pressure off of hosting an entirely live event, but these are commonly done 100% live. If your presentation is going to stay the same every time, then you’re in a position where it makes sense to set up an automated event. However, don’t forget the benefits of running a live webinar, i.e., being able to adapt on the fly and make changes rapidly. For our campaigns at Demio, we typically start out by running the events live until we feel like the presentation is dialed in, then we turn it into an automated event in order to truly scale. And remember, testing is the key. You should try both live and automated events in your business, compare the analytics and results afterwards, and then you’ll be able to make a more informed decision about which type of event is better for your situation. Is It Ethical to Run Automated Webinars? We believe there are both ethical and unethical ways to run automated webinars. At the end of the day, automated events can be extremely valuable to your audience, way more than a typical video. So, in this way, you’re doing what’s best for your audience. The line gets blurred when you start to trick your audience into believing that things that are not live are indeed live. Instead of positioning your automated webinars as live events, try framing them as scheduled presentations or interactive workshops. If you’re using Demio to actually chat with your audience during an automated session, there are indeed certain aspects of your event that are in fact live. If you really want to stay on the safe side, you can even make it clear to your audience that the presentation is automated but everything else is live, and you’ll be there to interact with them during the event. At Demio, we are against using fake chat messages, fake attendee numbers — fake anything, really. If that’s your cup of tea, there are other platforms out there that will allow you to do so. 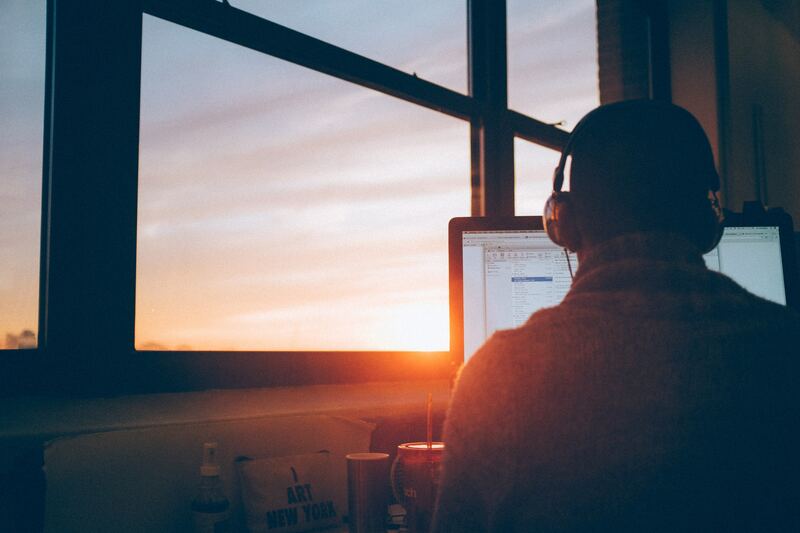 We believe webinars are about building meaningful relationships with your audience. Starting a relationship with misleading or fake info is probably not the best way to build a strong connection. An automated webinar is a tool, and like any tool, it’s all about how you use it. If you follow certain practices and you’re transparent with your audience, then there’s absolutely nothing to worry about. I’m not going to break down every best practice for webinars in general, but more so best practices for utilizing both live and automated webinars. 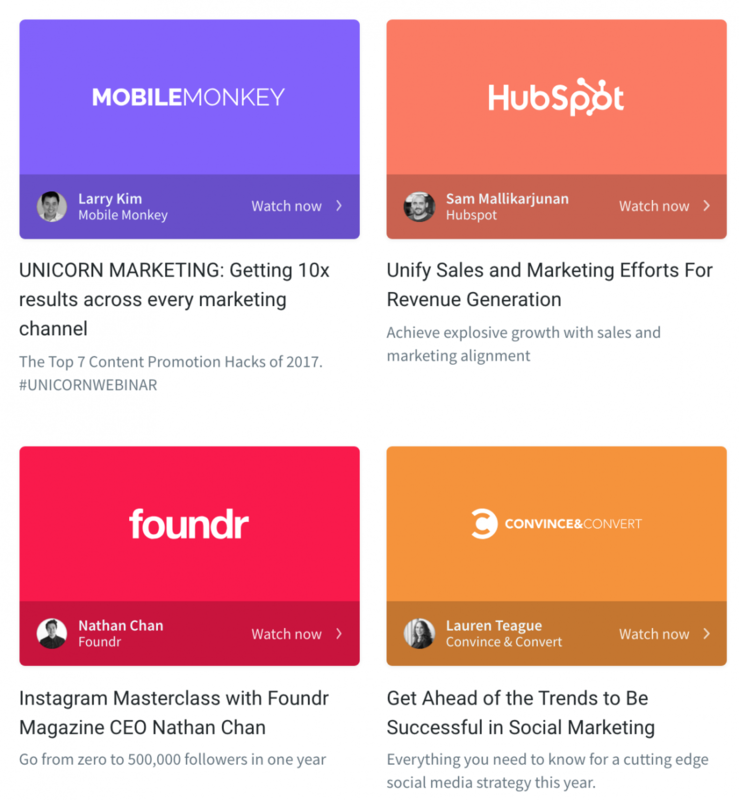 If you’re interested in the former, I’d recommend checking out this blog post, which contains a ton of tips from a bunch of webinar experts. Let’s start out with the obvious. You should ideally use the same platform for both your live and automated webinars. It’s important that you provide a consistent experience for your audience across both types of events to ensure you can keep your conversions and results the same across both. Not to mention, your audience probably doesn’t want to learn how to use multiple platforms. Focus on interaction and engagement; this is what separates a webinar from a video. It doesn’t matter that your event is automated, you should always encourage engagement through chat, questions, polls, handouts, and any other way you can get your audience to participate. In order to truly get the most out of your automated webinars, you should ideally join the event, or at least have it set up so you can answer questions or reply to messages in real-time. This will help your attendees know they are being heard instead of just talking to a wall. If you don’t want to show up, or if you’d rather have things just run on autopilot, that’s fine, too. However, you should at least build interaction into your presentation, which can be done through preset polls or handouts. Also — somewhat obvious — you should still ask questions in your pre-recorded webinar. Even if you’re not there to respond to people, your conversions will still improve with your audience fully engaged and answering questions. 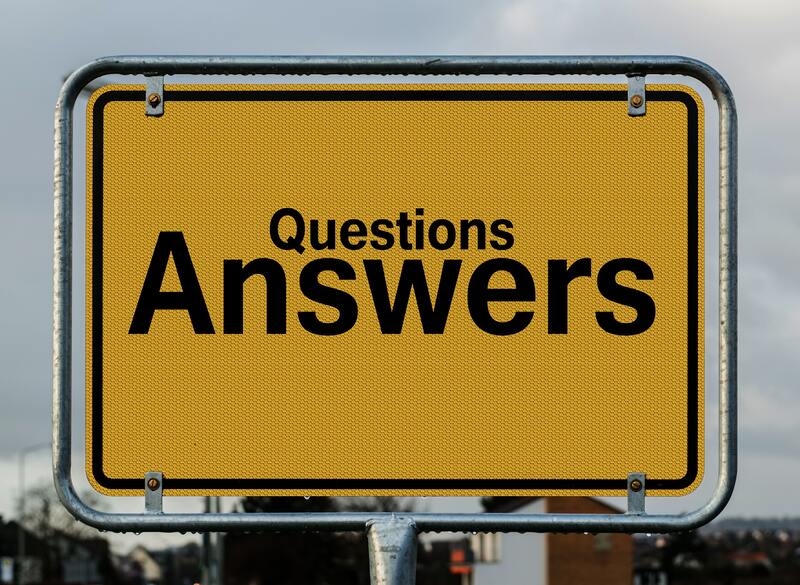 Put simply, make sure you’re asking questions to your audience throughout your pre-recorded presentation. Another thing you can do is set your chat preference to public, so attendees can see other attendees’ messages. When they see other people are there with them, they’ll be more likely to stick around and input their own chat messages as well. This is a great way to add a live aspect to your automated events without using any of your own time or energy. Lastly, make sure you set up your automations ahead of time. Platforms like Demio make it easy to connect with your email marketing platform so you can easily capture leads and segment your audience based on behavior. For example, you can easily send one set of emails to people who missed your event, and an entirely different set of emails to the people who attended. The great thing about an automated event is that you can set this stuff up one time, and then never have to touch it again. How Can You Create an Automated Webinar? Many platforms out there tend to focus on one or the other: live or automated. However, at Demio, we’re making it possible (and easy) to run both, and the experience is consistent across the board. In several ways, setting up an automated webinar is identical to creating a live event with a few small differences. Then, similar to a live event, you’ll schedule your sessions. For example, you could schedule the event to run every day at 8pm and 9pm. And that’s it. We now have an automated event that will run every work day at the same time. Pretty cool, right? Of course, then you can go on to set up the rest of the event, such as the registration page, preset polls, handouts, featured actions, reminder emails, integrations, and more. Then, when your automated event runs for the first time, you can even join and interact with the audience in real-time while the automated presentation is running in the background. 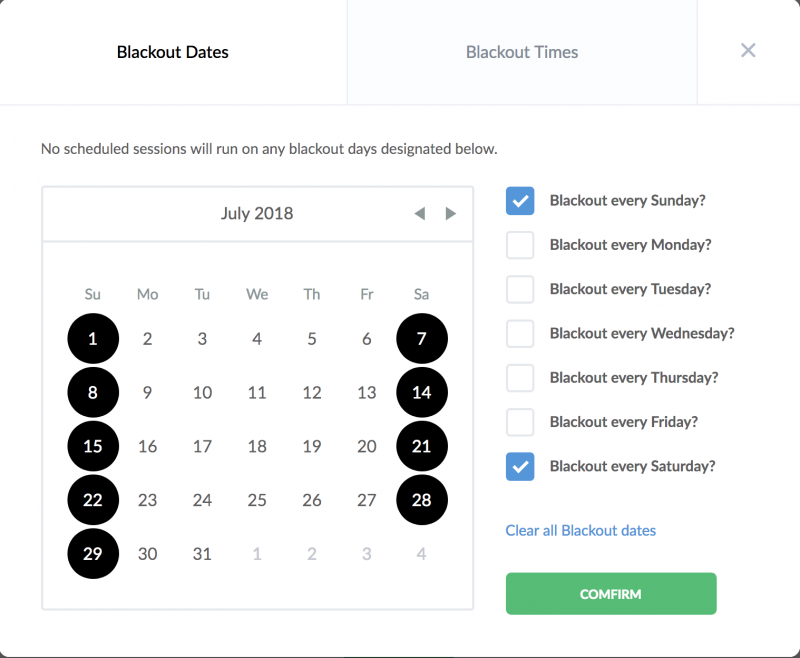 Demio is free to try for 14 days, so you can run both Live and Automated Events on a trial by signing up for an account here.